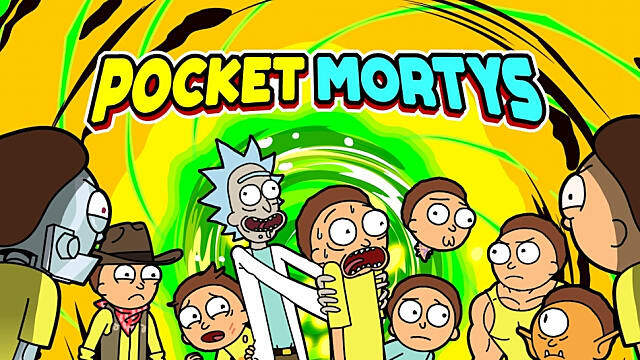 Ohhh geez, there's finally a Rick And Morty mobile game worth playing. (For our rundown of what we love about the game, check out the full review here.) 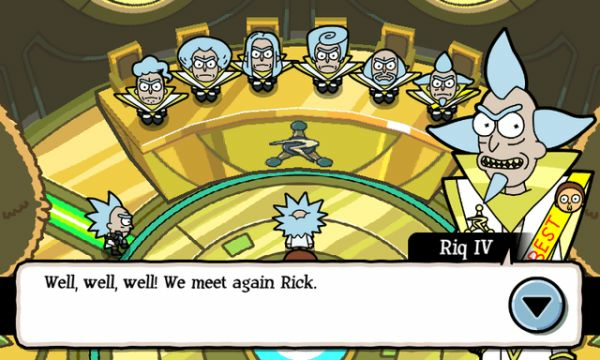 As you'd expect, things don't go so well for Morty, as he's forced to help Rick collect many different multi-dimensional versions of himself to battle for the amusement of the Council Of Ricks. 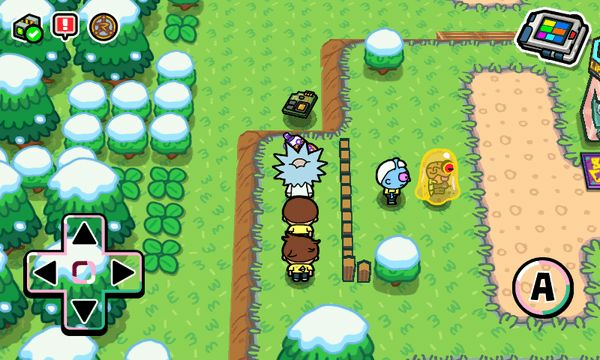 Having trouble getting past some of the alien creatures and difficult Rick bosses in your quest to become the greatest trainer? We've got you covered. 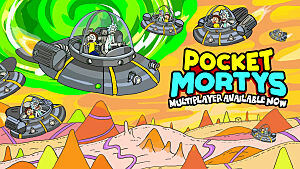 With these Pocket Mortys tips, tricks, and cheats, you'll be on your way to collecting all the badges and showing up that bureaucratic Council. Especially in the earlier portions of the game during the first few dimensions, always be sure to heal up your Mortys with a serum after every battle. A single missed attack or a critical hit from the opposing Morty can leave you dazed and having to start the area over anyway. 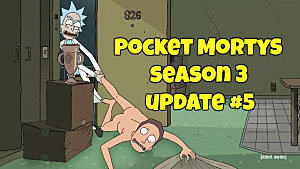 Following this Pocket Mortys strategy will of course cause your serum supply to dwindle quickly, so you are going to need a few extra schmeckles to buy more. In a nod to the awful Interdimensional Cable episodes – the blemish of an otherwise amazing show that the creators insist on doing every season – you can watch annoying commercials to get more schmeckles for free. 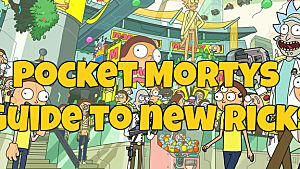 Just pull up the Salesman Rick option on your MortyPad and the tap the “+ schmeckles” button. Ready to watch some crappy television in exchange for schmeckles? 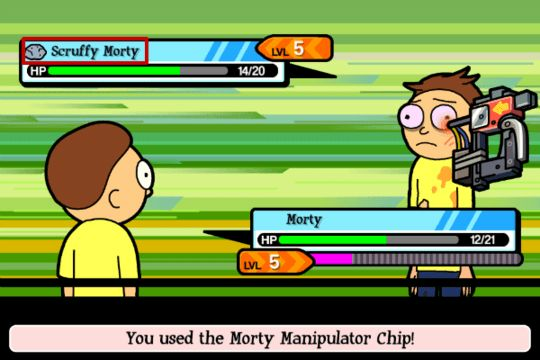 At the beginning of the game, your supply of Morty Manipulator Chips will be very limited, meaning you won't have much opportunity to expand your stable of Mortys. At first you will have to craft them at the Crafting Station with very limited supplies. Manipulator Chips are made by combining Supercharged Battery + Circuit Board + Tin Can at the crafting station. Fortunately, they can later be bought when the Salesman Rick store adds in new items after you've collected your first couple of badges, so if you are low on crafting material, just blast through the first couple of dimensional bosses. Our full list of all 30 crafting recipes and how to make them at the Crafting Station is available here. Every single time you head back to the Citadel after traversing a new dimension, your first order of business should be to use the healing center to freely bump all your current Mortys back to full health and AP. 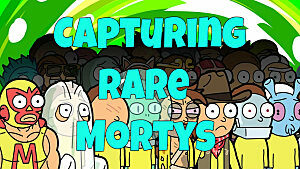 After going through the healing process, next you should go to the Morty Daycare and see if you have enough duplicate Mortys to combine. Combining your same-type Mortys is how you upgrade to more powerful forms and keep your edge over other trainers. Blending together two Scruffy Mortys, for instance, gives you an Unkempt Morty, while two Spooky Mortys create a Ghostly Morty. Always be sure to take a quick trek around the entire Citadel area outside the Council Of Ricks and look for aliens or extra-dimensional Ricks who want to chat. They will initiate new quests to help fill up your coffers with new items to use or craft. 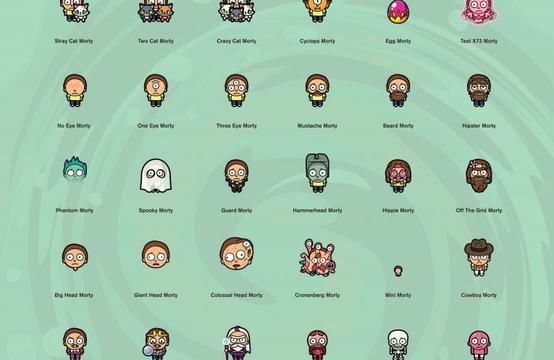 There's a whopping 82 Mortys to collect! Make sure your stock of healing items is full before heading into the portal, or at least have enough schmeckles on hand to buy more remotely through your MortyPad. The only way to head back home after entering the portal is to have all your Mortys get dazed during a battle, or to beat the boss Rick. There's no quick drop back to the Council Of Ricks for a healing in between, unfortunately. 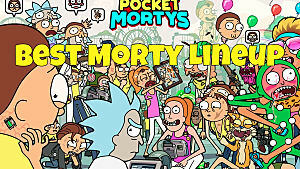 Oddly, there's no penalty for losing battles and having all your Mortys become dazed. In fact, in some cases this is a good strategy, since you'll save money by not buying healing items and gain more experience by engaging in more battles. 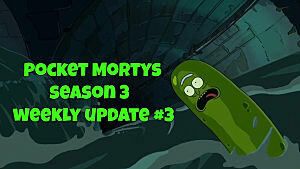 While traveling through a dimension, keep in mind that opposing Ricks (and those pesky aliens who have unlawfully snatched up their own Mortys to battle) will immediately engage you if you cross their line of sight. If you aren't ready for a battle, go another direction and sneak around them, or head directly behind them if possible to avoid the fight until you are healed up and ready to go. Although the game doesn't point this out, you don't have to immediately go back to the Citadel or face the Council Of Ricks after beating a dimension's boss. If you are confident in your abilities, head directly to the boss and beat him as soon as you enter a new dimension, then go around exploring and picking up items. This tactic makes it more likely you'll be able to get all the items before having to flee to the Citadel. You can then leave at any time by entering the open portal behind the defeated boss. There's a downside to beating bosses though: anytime you time you earn a badge, the enemies you will face in later dimensions become stronger, so be sure to spend some time leveling before heading to a new dimension. Riffing on the types in the classic Pokemon games, your various Mortys have three types: rock, paper, and scissors. They fight each other in exactly the way you'd expect. A rock-type Morty will deal far more damage to a scissors-type morty, but on the other hand will do minimal damage to a paper-type Morty. Never face an opposed type Morty, as it just isn't worth it – you will get dazed in no time flat. 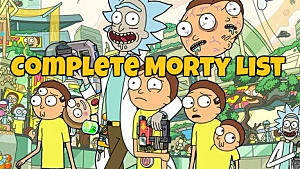 Always swap out your current Morty with a different type so you have the upper hand. This type system is why its critical to maintain a well-rounded stable of Mortys in your active party – you want one rock type, one scissor type, and one paper type at all times. Focusing on only a single type will get you trounced when an enemy uses mostly the opposing type of Morty. Remember, though, that your base Morty doesn't have a type – so he's a good all around character to keep on the front line and then switch out to a more beneficial type (if necessary) at the start of a battle. While battling a different Rick's stable of Mortys, pay attention to each attack's AP -- if you run out of AP for that attack, you can't use it anymore. If you are low on AP for all attacks of every Morty in your entourage (and have no AP recovery items) it's best to go purposefully lose a battle and get sent back to the Citadel for free healing. 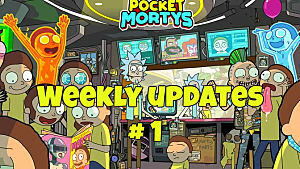 Follow our Pocket Mortys strategies to beat the Council Of Ricks! You shut your whore mouth about the Interdimensional Cable episodes. "heal up your Mortys with a serum after every battle"
Do you know how many ads I had to watch to heal my guys? It was horrible. Then I discovered THAT THIS ADVICE WAS 100% WRONG! NEVER heal your guys. Or at least, almost never. I stopped healing, and guess what? 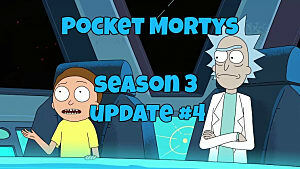 My Mortys got stronger, and my sheckles exploded! I went from having next to no sheckles to 15,000 sheckles in no time. My Mortys were levelling up! Sure, if your only goal is to beat the dimension, sure, go ahead, heal. But if you want more sheckles and stronger Mortys, let them get knocked out. 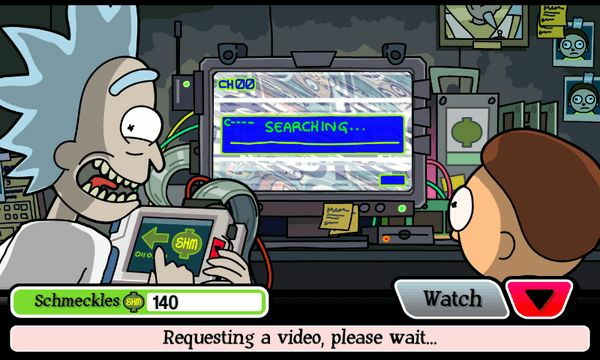 Play another dimension from the start KEEPING YOUR EXPERIENCE, YOUR SHECKLES, YOUR ITEMS, AND YOUR CAUGHT MORTYS (only losing a few minutes of time spent working towards a badge). Seriously, I came here for ADVICE because I wanted to play smart. I've been playing this game for a weekend and already I know 10 times what this article gave me. Dead on. DON'T heal your Mortys. I now have 3-4 Mortys above level 25 and I haven't even gotten 20 badges yet. Most of them can take out an opponent with one attack now. Also, pick and choose when to catch wild Mortys and when to defeat them. Defeating a wild Morty gets you Schmeckles and an item, which at times is preferable to wasting a Morty modification chip.